Menu. The finest in Essex. Marinated spring, off the bone Chicken, cooked in a soecial day tandoor. Served with a side salad. Testimonials. We're ready for your call. "This place is a real archetypal old style Indian restaurant style wise but isnt style over substance which many of the new places are. It has built a fantastic solid reputation for its food over many many years. We love it and even though we have tried many other Indian places over the years we always end up coming back to this place. The food is consistently fantastic, the service is friendly and effiecient. The perfect Indian!" "Friday night is curry night and there's only one place to go, we have tried them all and this is definitely the best in Chelmsford. They have an extensive menu and will cook dishes to your prefered level of 'heat.' You only have to ask, if you want a hot curry ask for it. The staff are always friendly and helpful and the service is excellent. In the winter when it's cold the restaurant is always warm and welcoming, in the summer when it's hot the a/c ensures that you are not. The constant flow of customers collecting take aways is testament to its popularity. 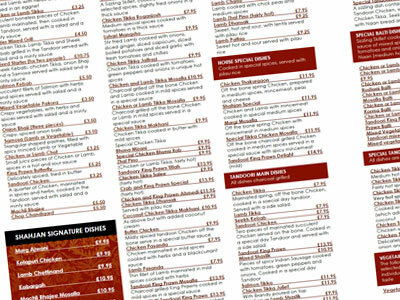 Friday wouldn't be Friday without a curry and it has to be at the Shahjan. " "We've been using the Shahjan for over 20 years and have got to know them really well, Mizan (owner) always making sure everything is how it should be and with his right hand man Shuil taking the reins when he's not there, you are always sure of a warm welcome. The food is consistently good, so good that I'm prepared to drive a 34 mile roundtrip just for a takeaway, yes there are Indian restaurants near us and we've tried them all, but nothing comes even close to the Shahjan in terms of quality, freshness and taste." Speciality. The best dishes around. marinated to infuse the delicate spices mixed with yoghurt, garam masala, ginger, lime, peppers coriander and cumin when brought together will make your mouth water as you smell it being cooked in our kitchen by one of our highly prized chefs. 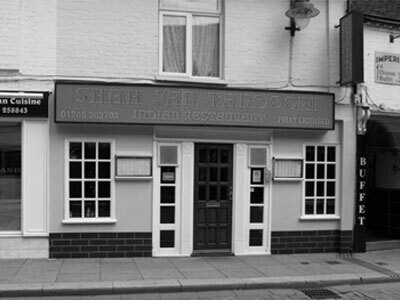 We are proud to say that Shahjan is one of the longest established Tandoori Restaurants in Chelmsford if not the whole of Essex. Started in 1979 our family run business brings you the best of authentic curries, enjoyed by our customers who come back time and time again. Our culinary influences bring you the taste of India and transport you back to a time honoured tradition of freshly cooked varieties of meat combined with sauces prepared on the day blending real ingredients that will ignite your senses. From Mumbai to the Punjab and Bengal to Assam our delightful dishes will combine the real taste of India. Eat at Shahjan and we can promise you an experience that you will never forget and will be talking about for years to come. We care about our customers and value each return visit to the home of fine Indian cuisine that never cuts corners when it comes to the authentic use of spices and the freshest of products used every day. 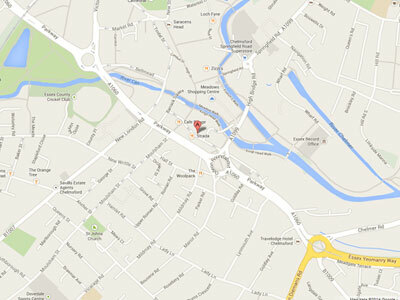 Come and visit us soon and find out why we are so proud to be part of the fabulous community in Chelmsford. © 2014 Shahjan Tandoori. All rights reserved. by Bright Chameleon.